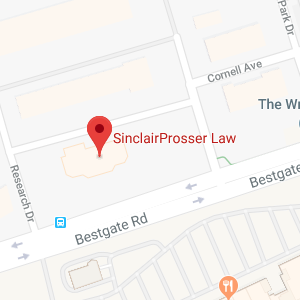 SinclairProsser Law is an elder law and estate planning law firm that serves Queenstown, Maryland and surrounding areas. Our firm works closely with clients to identify the issues that concern them about their future. Depending upon the circumstances, this could include issues related to estate planning to provide for heirs or beneficiaries, making plans for retirement and protecting assets, preparing for incapacity or serious illness, and more. We can help you to create and implement a plan using the legal tools that work for your situation. If you live in Queenstown, MD, you should give us a call today because you never know when you may suffer an illness or injury and it is best to have plans made in advance. We’ll treat you with the compassion you deserve and put our considerable knowledge to work for you so reach out now to get your plans underway. Queenstown, Maryland is a Maryland town located in Queen Anne’s County. The town is a small one, with a population of only around 664 people as of the most recent census. Queenstown was originally the seat of Queen Anne’s county, however the county seat was changed to Maryland. The town has a long history and the area was a very important destination back in the 18th century due to its strategic location near a creek that tradesmen were able to navigate. This made the Queenstown area a central hub for both shipping and receiving. Today, there are many locations in Queenstown that are listed on the National Registrar of Historic Places, including St. Pete’s church in Queenstown and Bloomingdale, Bowlingly. There is also an outlet mall in Queenstown that is called Queenstown Premium Outlets. The median age of the population of Queenstown is 40.2 years old, however, 15.2 percent of Queenstown residents were 65 years of age or older as of the most recent census. Seniors often come to a point where their age or their situation necessitates that they take advantage of programs and services to remain independent or maintain community connections to stave off loneliness. There are ample services for seniors who live in the Queenstown area. Seniors can learn about services by visiting the website for the Area Agency on Aging for Queen Anne’s County. Here, seniors can find out about the three senior centers that operate within Queen Anne’s county. The Centers are open from 7:30 AM to 4:00 PM on Monday, Wednesday and Friday. The centers offer activities, including arts and crafts, guest speakers, computer classes, and various different types of educational programs. There are also meals and other assistance for older residents of Queenstown. While these services can be very helpful to seniors, there may come a time when the free services or community-based services are not enough. Many seniors, for example, eventually begin to struggle with activities of daily living or they develop conditions such as dementia that make it impossible for them to live alone any longer. For seniors who need more help, affording the costs of home healthcare aides or nursing home care services can be very difficult. Medicare does not cover many of these services except in very limited conditions, so seniors could be forced to pay thousands out of pocket per month. The good news is, SinclairProsser Law can provide assistance to residents of Queenstown in making a Medicaid plan so means-tested Medicaid benefits will be available without first impoverishing yourself. Since Medicaid covers long-term care and nursing home care even when Medicare doesn’t, making a Medicaid plan can be an important way to protect wealth. SinclairProsser Law not only helps with Medicaid planning, but we also help to create incapacity plans and estate plans. Often, these plans are focused on avoiding probate court. When an incapacity plan has been made and a power of attorney has been created to vest an agent with power, incapacity proceedings in probate court typically don’t have to occur. When an estate plan is made to transfer assets through processes such as pay on death accounts, joint ownership, and trust administration, then loved ones will not need to go to probate court to facilitate the transfer of wealth after a death has occurred. There are, however, circumstances when probate court avoidance hasn’t been a priority and there aren’t any plans in place to handle issues outside of probate. In these cases, SinclairProsser Law can represent those who must go to probate court. We provide representation to clients seeking guardianship of family members, as well as representing heirs or beneficiaries, the executor of an estate, those contesting a will, and others with probate law issues to address. If you must resolve probate issues with court involvement, you’ll likely be dealing with the Office of the Register of wills for Queen Anne’s County. You can find details about probate issues on the court’s site. There is information about the office of the registrar’s s location, which is at 107 North Liberty Street, Suite 220. This is in Centerville, Maryland 21617. The phone number is 410-758-0585. Probate cases can also be handled in the Orphans’ Court in Maryland. The contact information is P.O. Box 59, Liberty Building, 107 North Liberty Street, Centerville, MD 21617. Maryland estate planning attorneys at SinclairProsser Law are ready to help you with making an estate plan, planning for incapacity, and addressing other key issues that could affect your future. If you live in Queenstown or surrounding areas, we will work with you to define your goals and use the right tools to achieve them. This could include a last will and testament, trusts, a power of attorney, a living will, and more. To find out more about all of the different ways that our Queenstown elder law and estate planning attorneys can help, join us for a free seminar. You can also give us a call at 410-573-4818 or contact us online to learn more about the personalized help we offer.